Quesada told fans in attendance that he has read a couple outlines and a initial screenplay for "The First Avenger: Captain America" and he is more than pleased. The BACC guest of honor told the crowd that the film is gonna be great. He said, "It's going to rock everyone's socks off." Quesada also said that the film is not what people would expect. "It's very unexpected, the kind of movie it is," he said. 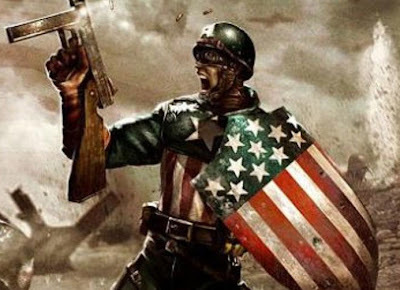 Teasing the crowd a bit, Quesada confirmed there is a "undisclosed" list of actors Marvel and director Joe Johnston want for the role of Steve Rogers a.k.a. Captain America. In related Marvel news, Joe Quesada was asked if continuity could really be established in all of the Marvel films. Quesada ponited to "The Avengers" being a perfect example, however he did specify that the films would not be exactly like the comics. He said, "It won't be the same exact continuity from the comics, but it'll feel very much like the Marvel continuity." Which makes perfect sense, because some things just don't translate all that well from the page to screen.